Forget Alaska, who wants to chase the Aurora in shorts and a T-Shirt? Well, that it just what I have done one three successfull outings in NSW, Australia. In autralia we have something which is equally as mesmerising as the Aurora Borealis. 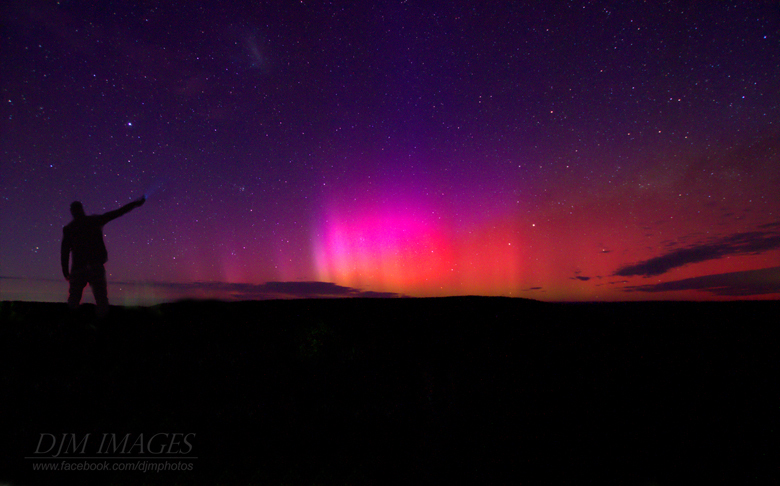 The Aurora Australis, or Southern Lights. My name is David Metcalf and I am from Wollongong NSW. Wollongong has a lattitude of about 34.5 degrees south. In summer, we regularly swelter through 30 to 40 degree days and have some of the most amazing beaches in Australia and a breathtaking coastline. 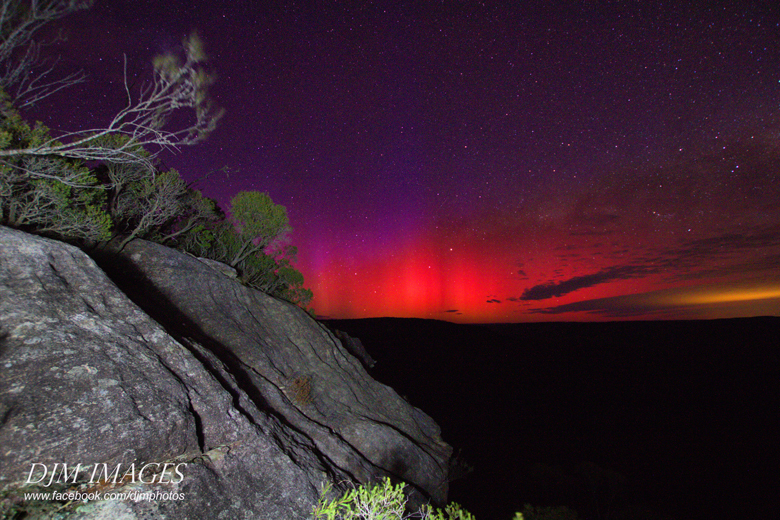 Despite this, if the conditions on the sun co-operate, believe it or not the Awesome Aurora Australis can be seen from NSW. In June 2015, I headed up to Bundanoon on the Southern Highlands of NSW to excape the light pollution of the city of Wollongong. 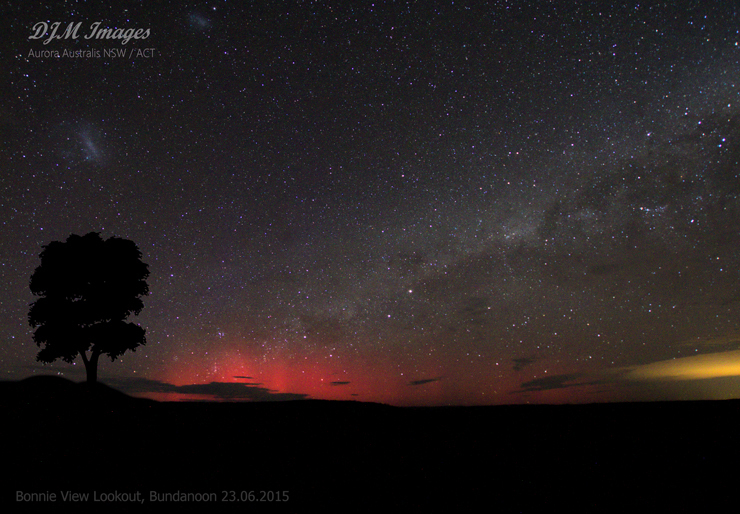 I was treated to an amazing showing of the Aurora Australis, lasting from 4am until sunrise (about 6am). 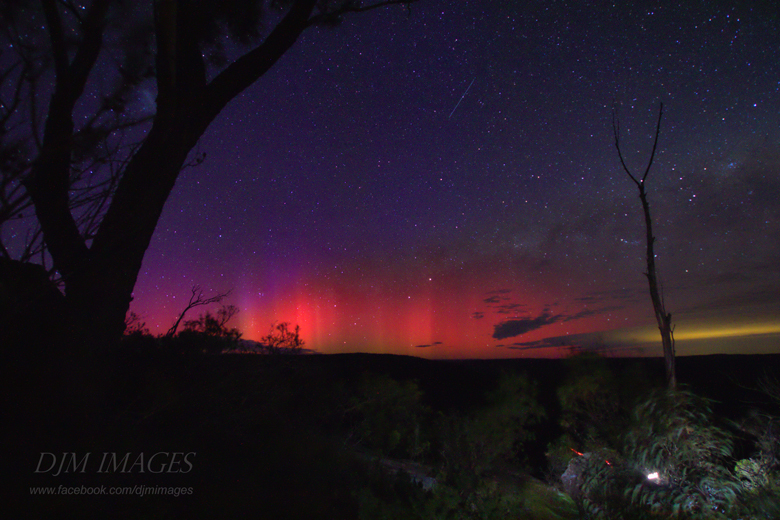 Whilst this Aurora was strong, It’s not the most intense we had in NSW in 2015. 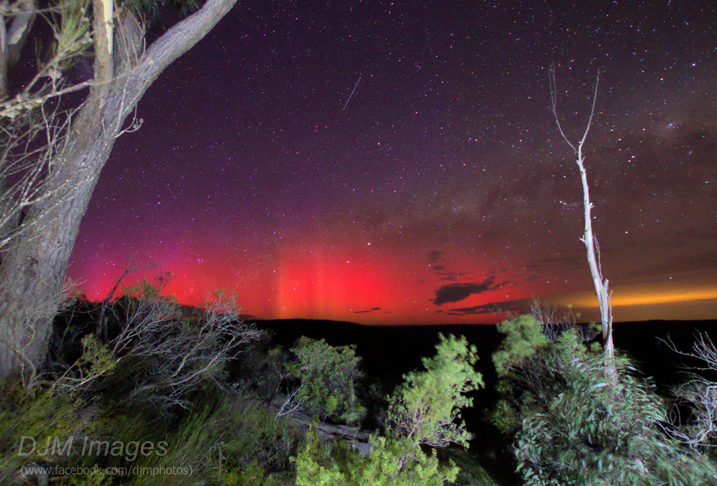 There were three major NSW Aurora events during 2015. The first was on the 7th January and the second was on the 15th March. The solar storm of the 23rd June was a big one! Myself and two other fellow photographers stayed up all night until the early hours of the morning a Bonnie View lookout Bundanoon, with cameras pointed south. Sure enough, around 4am we witnessed what we had been waiting all night to see! The Aurora! I had been keeping track of the sun and we (myself and my photography friends) we’re monitoring a large event that saw the release of three Coronal Mass Ejections in quick succession (over a period of 24 hours), and knew that if one caught up to the other there was a chance of strong auroral activity early on Tuesday morning. Keeping that in mind we decided to do the all-nighter at one of our favourite viewing locations. Bonnie View Lookout is just south of Bundanoon on Echo Point Road. The lookout overlooks around 400 kilometres of Morton National Park. At first it showed up on our camera screens as a pink haze and then by 5.00am as a stunning series of beams visible to the naked eye until it was washed out at around 6 am by the impending sunrise. It is an experience I will never forget, and I have all the images to enjoy! I’ve been told you never forget your first Aurora, and I think this will definitely be no exception! 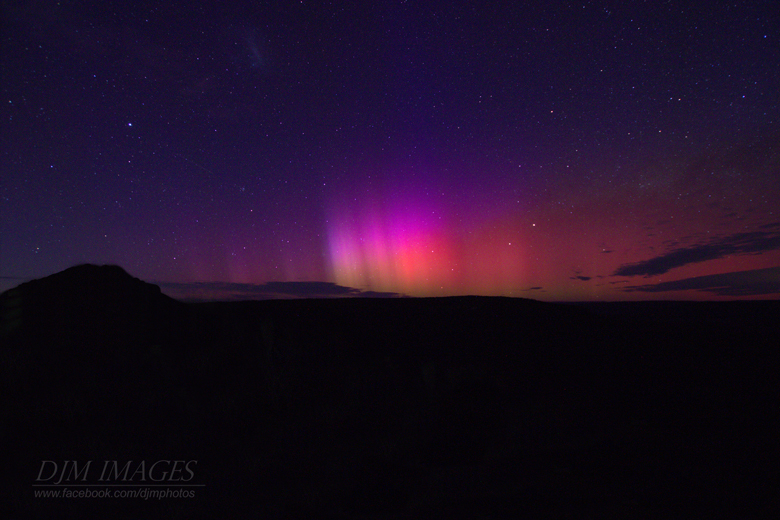 Kellie from Adventue Tours Australia has written a lovely blog about my recent hunt for the ellusive Aurora Australis (see link below).